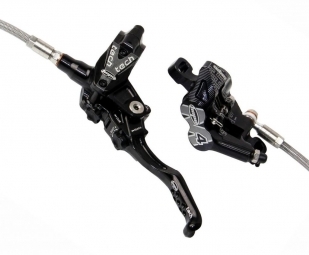 TECH lever forward to the 4 piston caliper the right mix for a while braking progressiveness. New Tech lever reversible (right and left), with two external adjustment knobs: One for the leveling of the guard, the second for the attack platelets. Post mount bracket 9.74, with adapters for all standard frame.